Tim Bessell loves his job. He combines lifelong surfing experience with expert craftsmanship to create some of the best custom surfboards in the world. 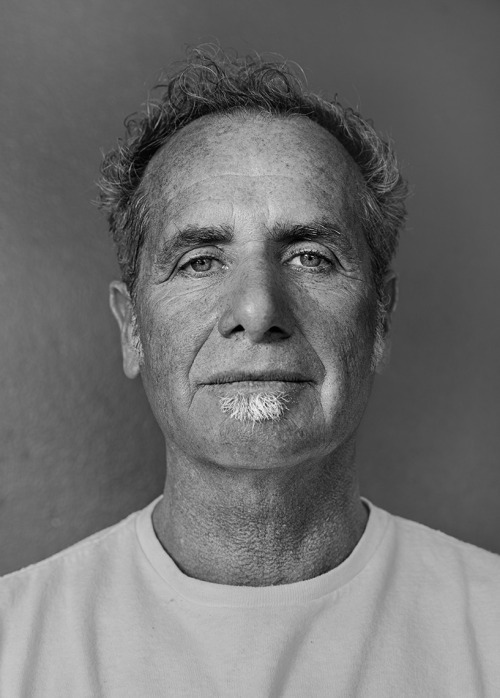 Surfboard shapers and surfers alike, from all over the world, know the name, Tim Bessell. From world class professionals to weekend warriors, ask anyone who knows him and they'll tell you the same thing: Tim is more than a shaper, he's an artist. At a very young age, Tim Bessell was exposed to the infectious world of art by his mother. As A result, Tim gained an interest and appreciation for the sub-culture that would coincidentally influence and shape his future to come. Tim began his professional surfboard shaping career when he began working at Sunset Surfboards. By the age of thirteen, Tim began shaping surfboards from the beautiful town known as La Jolla, California. He was one of the youngest surfboard shapers in the industry, but he was already making a name for himself as a surfer and as a shaper in and around his home break of Windansea Beach in La Jolla, California. Three years later Tim moved to Hawaii to prove he has what it takes to be a shaper on the North Shore. He began shaping custom surfboards for Lightning Bolt, one of Hawaii's premier surfboard manufacturers known for the infamous lightning gun shape of the 70's ridden by legendary Gerry Lopez. In fact, Tim Bessell would later become one of the few shapers allowed to manufacture surfboards under the Lightning Bolt name. After legitimizing himself as a shaper, Tim returned to San Diego, California to open Bessell Surfboards. By 1987, Bessell Surfboards had grown into one of the largest surfboard manufacturers in Southern California. Tim also made a name for himself as an artist, with exhibitions as far away as Japan. Tim branched off into the world of apparel when he started his own clothing line in 1992. He designed every item himself, and his unique touch of style was an instant hit. Tim even helped design styles for other clothing companies such as Hurley, T&C Hawaii, and Billabong. In 1997 Tim decided to focus once again on surfboards when he returned to the shaping room to reinvent Bessell Surfboards. 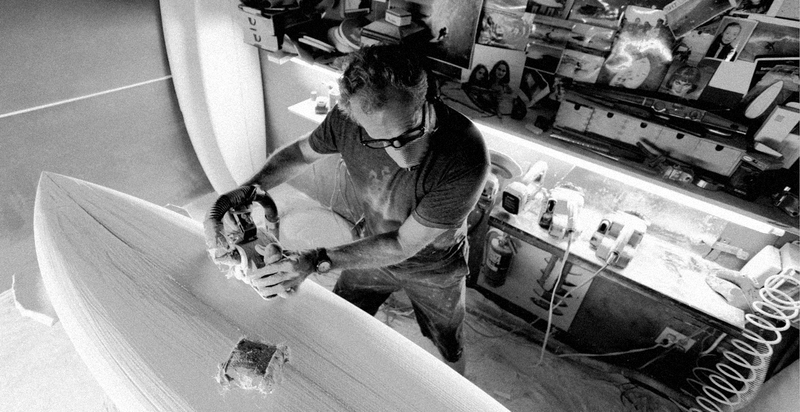 He built primarily custom shaped boards for surfers who demanded more than the typical cookie cutter shapes typically offer. Tim's willingness to work individually with each customer has helped build a reputation few surfboard shapers can match. To date, Tim has produced over 46,000 surfboards. 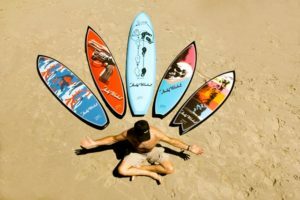 His boards have graced the covers of Surfer Magazine, Surfing Magazine, Beach Culture, and countless other surfing magazines. Many world class surfers have ridden Bessell Surfboards including: Peter King, Luke Egan, Jon Roseman, Glen Winton, Brad Gerlach, Vetea David, Ricky Irons, David MacAulay, Saxon Boucher, Debbie Melville Beacham, Ryder Mackey, Chris O'Rourke, Billy Choe, Simon Law, Juston Postin, David Eggers, Davie Miller, Richard Kenvin and more. Bessell Surfboards are currently sold throughout the world with distributors in Japan, South America, and Europe. If you're lucky enough to visit Tavarua Island, you'll notice Tim's trademark guns are standard equipment on the island. Wherever you end up, chances are there is someone riding a Bessell. Currently, Tim and his team at Bessell surfboards are starting many new exciting projects. These projects include Watershed Productions, a new film production company that is focusing on cutting edge surf films. 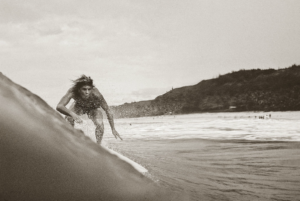 Most notably Tim Bessell has teamed up with the Warhol Foundation to reconnect the much-forgotten love that Andy Warhol had for surfing and the surfing counter-culture. “How I Met Andy”, is a short film that tells the story of how Tim met Andy Warhol and why his artistic inspiration never left him and how eventually this became the "Bessell Warhol Project.” In this project, Tim has created an extensive collection of surfboards with licensed Warhol art imposed on his signature surfboard shapes. This has created an international buzz once again and many of these boards can be found in art galleries and collectors homes all over the world. With the love for shaping boards Tim gained when he was thirteen combined with the experience, inspiration, and reputation he has gained along the way, Bessell Surfboards remains one the top custom surfboard manufacturers in the world.